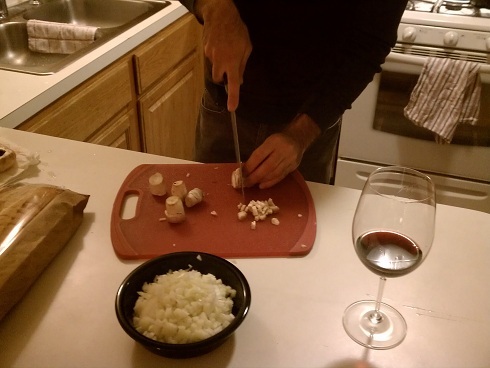 2011 Gabbiano Chianti with the shrimp and while cooking. 2007 Aurellio Settimo Barolo with the mushrooms and starting dinner. We though about having a glass of port to close off the night but after a bottle of wine each we couldn’t go any further. Everyone had a great time and the food was excellent. Stay tuned for a review of each wine! This entry was posted in Uncategorized on November 26, 2012 by colonelgrape.